A fabulous flight attendant is warm but meticulous, and their resume should reflect that. 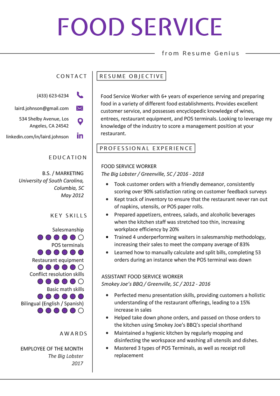 Use our industry-specific resume sample to put together your own, and check out our 3 expert writing tips to make yours even better. Being a flight attendant is one of the first jobs people think of for combining work with travel. And there are plenty of reasons why you should consider a career in this field, including the chart to the left that shows how much flight attendants make. However, if you have a great resume, you might be able to negotiate yourself a higher salary or extra benefits! Check out these tips to find out how you can compose a fantastic resume. Check out the following table of action verbs to boost your flight attendant resume. You can drop these action verbs into your resume to give hiring managers more insight into the kind of tasks you excel at. Like the above list of action verbs? There’s more where they came from! Visit our almost endless list of action verbs. 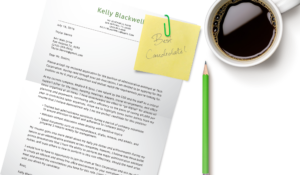 A strong resume needs an introduction that gives employers a glimpse of what you can contribute to their company. There are four types of introduction that job seekers can choose from: the eye-catching resume summary, the to-the-point professional profile, the popular career objective, and the modern qualifications summary. This is an effective career objective because it provides airlines with key information about the candidate. By taking only a few seconds to read the intro, the hiring manager already knows that the candidate has 6 years of experience, is properly trained in CPR & AED, and has been recognized for his excellent customer service. With this information, the airline is motivated to learn more about the candidate. Once you’ve caught the attention of the hiring manager, it’s time to put your professional experience to work. This can be a challenging section for job seekers who are unsure of what the employer is looking for. The most common mistake that people make in this section is that they simply list the generic job duties of their previous roles. Doing this doesn’t do your resume justice and actually hurts your chances of getting an interview. Airlines want to see results, not a list of boring job duties. To write a powerful professional experience section, you need action verbs like those from the list above, and you need to include numbers. Compare the two bullet points below. If you were an employer, which candidate would you hire? Help passengers with carry-on luggage. It’s safe to say that you probably chose the second bullet point because it provides more detail than the first and includes a measurable achievement. Now of course, this doesn’t mean that you have to add a number to every single bullet point, but sprinkling a few throughout your Professional Experience section gives you more credibility. For more tips on how to include numbers in your resume, stop by our guide on how to write an achievement-centered Professional Experience section.